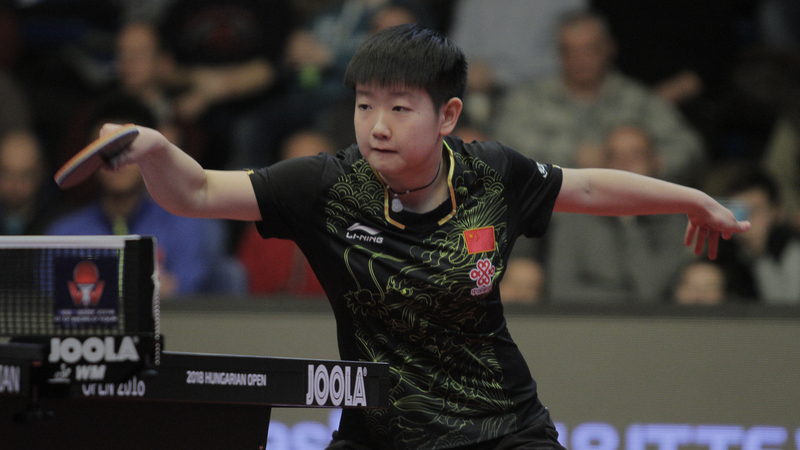 Saturday 20th January turned out to be a day of celebration for China as the country guaranteed gold medal victories in both the Men’s Singles and the Women’s Singles events at the Seamaster 2018 ITTF World Tour Hungarian Open on the penultimate day in Budapest. Here’s a quick reminder of how the action unfolded on day three. Fan Zhendong entered the Men’s Singles tournament as the hot favourite to lift the trophy in Budapest and now the no.1 seeded player is just one win away from achieving that feat. The 20-year-old Chinese star began the day on a positive note, inflicting a five games defeat on Sweden’s Kristian Karlsson (9-11, 11-6, 11-8, 11-9, 11-6) before Fan Zhendong sealed his place in the title match with a fine win over Brazil’s Hugo Calderano (11-8, 9-11, 11-7, 11-8, 11-5). Providing the opposition in the final is Wang Chuqin, who extended his wonderful run at the tournament with victories against seventh seed Chen Chien-An (11-9, 11-6, 11-5, 11-6) and Liu Dingshuo (11-7, 8-11, 11-7, 6-11, 15-13, 11-7) and after the match Wang Chuqin admitted that he had outperformed his own expectations at the event. “I am really happy I have made it to the final as I am very young. I did not think I would reach the final. My head was full of thoughts, it was really hard to stay focused. 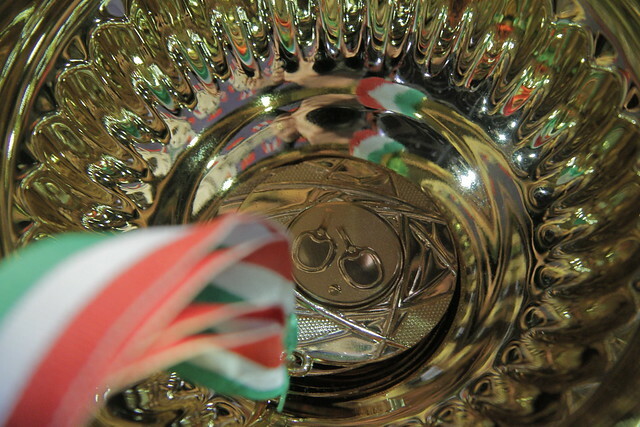 We played an amazing match where the difference was marginal and the standard was very high. I hope I can reach this high level in the final too.” Wang Chuqin. Over in the Women’s Singles event Wang Manyu enjoyed a very positive outing on day three, delivering two promising performances to book her place in the final. Starting the day with a terrific display against top seed Chen Meng (11-8, 7-11, 14-12, 13-11, 11-7) no.6 seed Wang Manyu took plenty of confidence into the last four where she went on to defeat Chen Xingtong in a dramatic style (12-14, 13-11, 11-8, 11-13, 15-13, 9-11, 11-5), eliminating the defending champion from the competition. “The match was very intensive and hard for me, we both played at a very high level. The turning point of the match was in game five when I recovered from being 2-6 down. I felt I could win this match.” Wang Manyu. Joining Wang Manyu in the gold medal match is fellow Chinese competitor Sun Yingsha, who comfortably saw off seeded opposition in both of her fixtures on the penultimate day of play in Budapest. Qualifier Sun Yingsha proved too strong for second seed Lee Ho Ching at the quarter-finals stage of the tournament (11-6, 11-4, 9-11, 11-8, 11-6) and was just as impressive in her second encounter of the day as the unseeded player condemned fifth seed Chen Szu-Yu to a semi-finals exit (11-5, 11-8, 11-5, 11-13, 11-7).